Please follow the below steps on how to create a custom theme in Bagisto. Check contents of ‘themes.php’ file, it holds all necessary information of creating a custom theme. default: Declared at the top signifies the currently active or default theme in Bagisto. It is assigned with the value ‘default’. The (string)default indicates the name of the currently active theme. themes: This parameter is where you’ve to define all essentials for your own custom theme. Multiple themes can also be created and used at the same time in Bagisto. Inside ‘themes’ there is another array by name ‘default‘ which is your currently active theme. Containing some key-value pairs. views_path: It’ll take the path of your views or blade files that you wanna put up in your custom theme. name: Defines a global name for your theme inside Bagisto. parent: This is a magic parameter that you can find in the commented code below the sub array ‘default‘. Using this parameter you can make use of existing themes inside Bagisto and just customise them even further. This parameter will take the value of the ‘name’ parameter listed in point 3rd above. 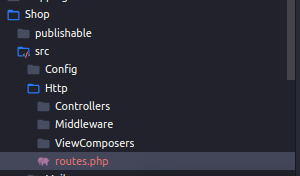 Finally, define your own paths and name of your custom theme inside ‘themes.php’ file. And start creating view files. Do not forget to cover all get routes of shop package having a parameter called ‘view’. That will be all on how you can create a custom theme in bagisto. In case of any query, you can raise a support ticket at bagisto.uvdesk.com. When i change config themes, the admin themes also change. You can even take the same pattern for developing the theme for admin as i explained in shop. Overriding existing views might be the key after you have implemented the above process carefully. @tilak Can you let me know at which step you got stuck or facing any issue? You have to change the default theme to your Custom theme by adding the view_path and assets_path and name in your themes.php file in the config folder . One more thing you have to set your custom theme from your admin pannel . Like you have this bagisto_asset; how do I create my own custom_asset? If you want to create your own custom asset, then inside theme packages helper function, you can create your own function as we did. After creating this function, you can use it according to your need.